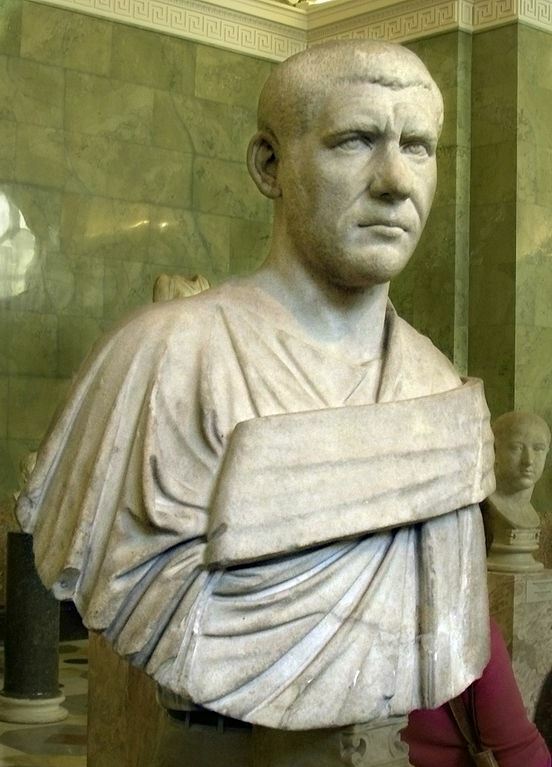 Marcus Iulius Philippus Augustus, also known commonly by his nickname Philip the Arab, was Roman Emperor from 244 to 249. He was born in Arabia Petraea, in a city situated in modern-day Syria, and went on to become a major figure in the Roman Empire. He achieved power after the death of Gordian III, and quickly negotiated a peace with the Sassanid Empire. During his reign, Rome celebrated its millennium. Philip was overthrown and killed following a rebellion led by his successor Decius. (9) Philip I 247-249 A.D.
Ref: RIC 25b; RSC 198. Reverse: SECVRIT ORBIS, Securitas seated left holding baton and long scepter. Ref: RIC 10; RSC 241a. Reverse: Eagle facing, head right, Greek legend around. Antioch mint. SC below. Obverse: AVTO K K M IOVΛI ΦIΛIΠΠOC CEB. Laureate, draped, and cuirassed bust right; c/m: indistinct. Reverse: ZEVΓM-ATEΩN. Tetrastyle temple, containing statue (Zeus? ), with peribolos containing grove of trees; in exergue, capricorn swimming left. Reverse: SAECVLARES AVGG, cippus inscribed COS/III in two lines. Reverse: PM TRP II COS PP, Philip seated left, holding globe and sceptre. Reverse: AETERNITAS AVGG, Elephant advancing left, guided by mahout holding goad and wand.